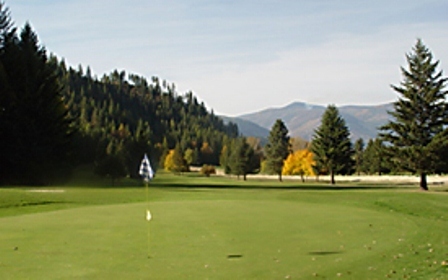 Mirror Lake Golf Course is a Public, 9 hole golf course located just 1 mile south of Bonners Ferry, Idaho. Mirror Lake Golf Course first opened for play in 1974. The course was designed by Edward A. Hunnicutt. The course is player friendly to the beginner, yet is a challenge for the low handicap golfer as well, with two sets of tees for the front and back nines. 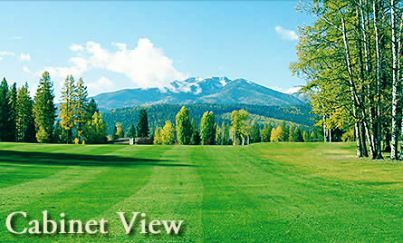 It has a diverse array of par 3's, 4's and 5's, along with stunning views of the Selkirk Mountains and the Kootenai Valley. The golf course features water hazards on both par threes as well as on 3 of the par fours. The course was built on rolling terrain in a valley and surrounded by mountains. Even though the fairways are tree lined, they still provide generous landing areas. The undulating greens are large and fast. Water hazards (springs) come into play on five holes. The golf course also offers a practice green, driving range, full service Pro Shop, snack bar, and cocktail lounge. 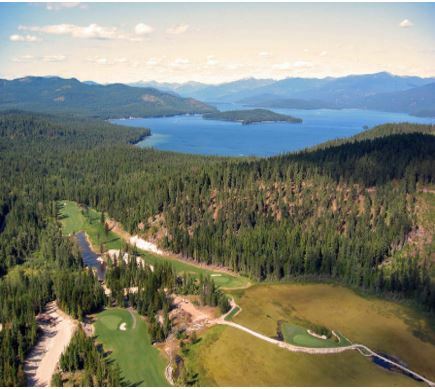 Mirror Lake Golf Course plays to a maximum 9-hole distance of 2,885 yards and plays to a par of 36. The course rating is 34.2 with a slope rating of 121.